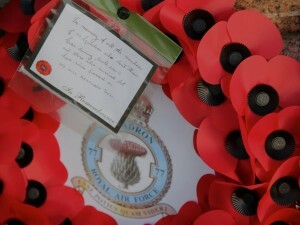 The 77 Squadron Association. 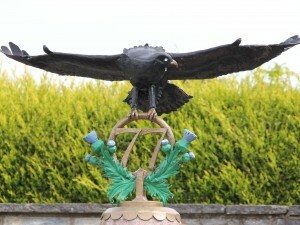 Commemorating the RAF division. 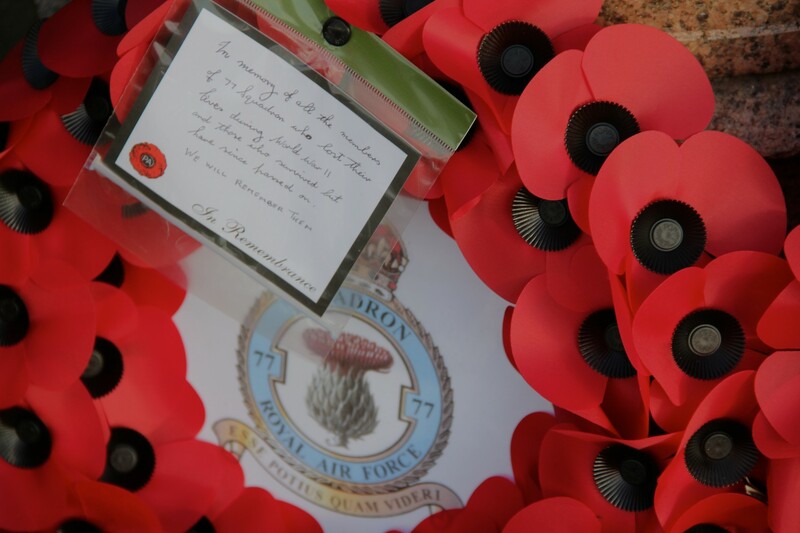 We exist to keep alive the memory of 77 Squadron Royal Air Force, all who served in it and especially those killed in action. The Association is open to all, and especially welcome are those who are related to, or are friends of former members of the squadron. 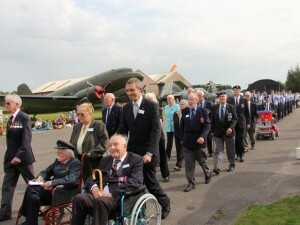 An important date: Our next reunion is 14th September at Elvington. More details to follow! Like all other WWII organisations, we are increasingly and inevitably losing our veterans. It is all the more important therefore that we pass on their experiences and sacrifices made by their comrades. 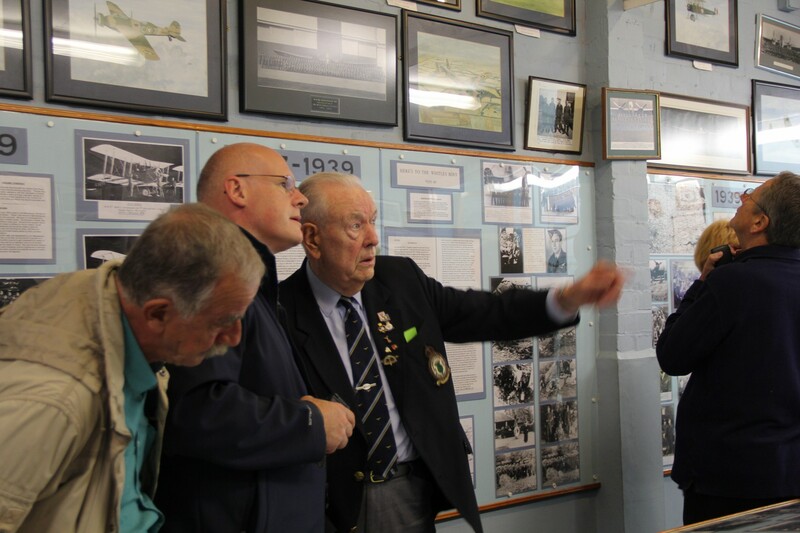 We are one of the few active wartime squadron associations as we are proud to say that the interest from descendants and from the general public is increasing rather than diminishing as we embrace the digital era. After the war, surviving personnel continued to meet for social occasions for a time. 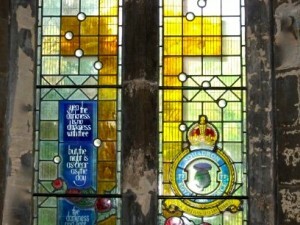 Later, 77 was largely ‘a forgotten squadron’ after it was disbanded in the 60s. It was not until the 1980s that a formal association was founded when the Yorkshire Air Museum began at Elvington, one of our wartime bases. 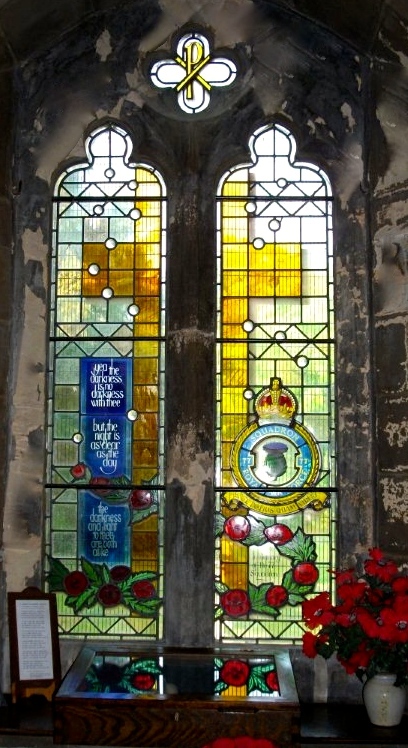 Dedicated to keeping the squadron memory alive for future generations, the veterans in the association created three memorials: a 77 Squadron History Room at the Yorkshire Air Museum; a Squadron Memorial at the main gate of the museum; a beautiful memorial window in Holy Trinity Church in Elvington village. There is a framed Roll of Honour in the History Room and two books whose pages are turned regularly: one in Elvington church and the other in the Yorkshire Air Museum Memorial chapel. Current members include veterans and their relatives and others determined to continue their legacy and honour their achievements. We publish a bi-annual newsletter packed with news of veterans and events, historical articles, photographs, details of operations and letters from members. This can now be viewed online as well as in print format. We organise an annual reunion, maintain a Facebook page and this website. We endeavour to answer queries from the operational records. This is free of charge for members, but require a donation from non-members for this service. Donations can be made directly online from the blue boxes on this website. WEBSITE NAVIGATION: To read the squadron history, go to the History tab below the flags at the top of any page (not the on the picture or the graphics on this home page). From there you can go to different sections of our history. Enjoy reading! Our former president, Bill Foote DFC, passed away at the end of 2017 and this year we offered the rôle to Professor Bill Ballantyne who members will recall gave a fascinating address after dinner in 2015. This Bill too is a veteran pilot of 77 Squadron and on one occasion, on 12 December 1944, he was second pilot to Flying Officer Bill Foote on an op to Osnabruck. In 1941, after serving with Cambridge University Air Squadron, he joined the RAF as a trainee pilot and was sent to South Africa to fly a succession of different airplanes: Tiger Moths, Hawker Harts and Hinds, and Oxfords. 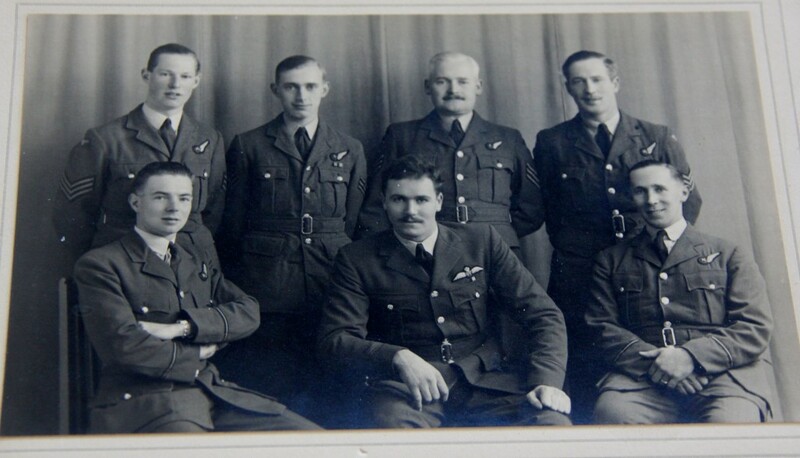 He was then posted to 267 Squadron in Transport Command in North Africa flying Dakotas to take supplies up to the front line, then to Tunis to take part in the invasion of Sicily. Restless for more action, when asked to ferry a Beaufort from England to Cairo he managed to stay in England and get posted to Bomber Command. He trained on early Wellingtons and Halifaxes and eventually joined 77 Squadron at Full Sutton, flying on 22 ops until VE Day 1945. After the war he went back to Cambridge and worked so hard that he did two years of a law degree in five months. He became a barrister specialising in Arab law, speaking fluent Arabic and practising in the Middle East. He was Legal Advisor to the rulers and governor of Kuwait and Bahrain and later, still actively practising on legal cases, with his wide experience and expertise he was appointed Visiting Professor of Arabic Law at the School of Oriental and African Studies, (SOAS), University of London teaching there for over 30 years. You can read more about his illustrious career here. 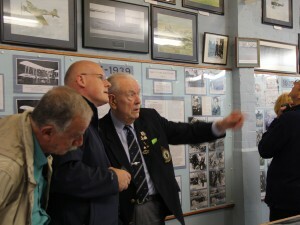 Hon Treasurer and Membership Secretary: Van Wilson (daughter of Pilot Alan May, 77 Squadron); Webmaster: Rachel Semlyen (Founding Chairman of the Yorkshire Air Museum and former Elvington resident); Designer of Nickel newsletter: Alec Brown, (Friend of the Association); Andrew Brown (Friend and enthusiast); Canadian Representative: Bryan Naylor (great-nephew of Navigator Harold LeNoury, 77 Squadron). You can contact us by email: info@77squadron.org.uk and on the contact page. MEMBERSHIP: the annual subscription to obtain the Nickel magazine and other news is £5.00 a year (£10.00 for overseas). This, and donations, can be paid by cheque, standing order, or by PayPal. For more details, and for making a one-off donation please go to the Membership Page. Or go direct to the page from the blue box on the right. (A fuller account is on the History pages reached from the History tab under the flags at the top of the page). Formed 100 years ago, initially for the defence of Edinburgh in 1916, apart from a period on anti-submarine duties with Coastal Command in North Devon in 1941, the squadron was based in the countryside of North Yorkshire from 1938 to May 1945 as part of Bomber Command. Flying Armstrong Whitworth Whitleys, the squadron carried out the most sorties: 1,909, and lost the most aircraft: 107, with 285 casualties…more than any other squadron. 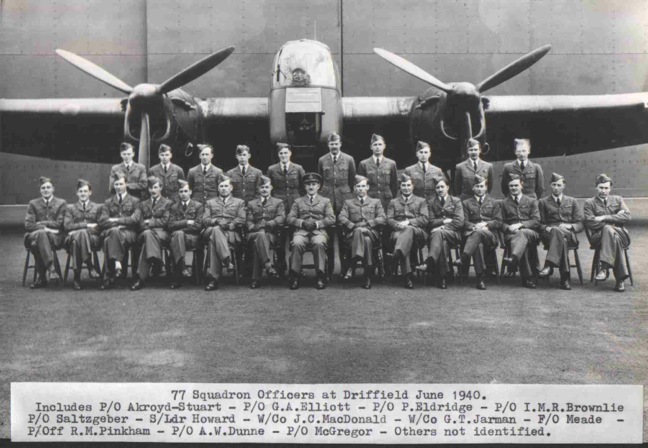 This included a fateful night at Driffield when, with 102 Squadron, 12 aircraft were destroyed and 11 ground staff lost their lives in a Luftwaffe bombing raid. But its worst period was still to come. In October 1942 the squadron was the first occupant of the newly-built RAF Elvington airbase. 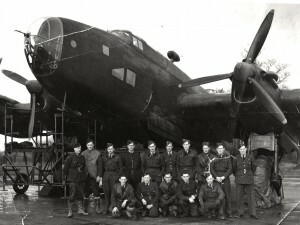 Here the crews had to re-train on the Handley Page Halifax. 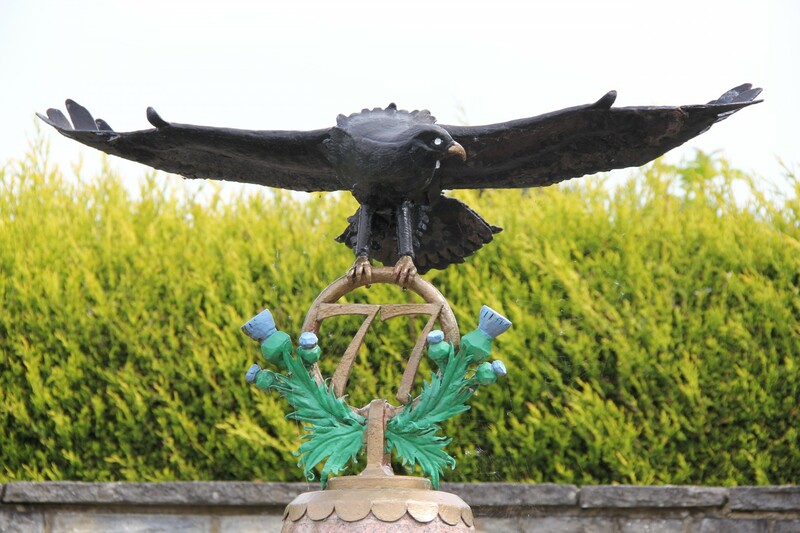 14 airmen lost their lives in accidents before the squadron resumed operations in February 1943. During the following 18 months they carried out 3,692 sorties, lost 82 aircraft and a further 450 aircrew—more than half the squadron’s total fatalities in the whole war. 77 Squadron consisted of both regulars and volunteers who were supported by hundreds of ground crew and technical staff, both men and women. 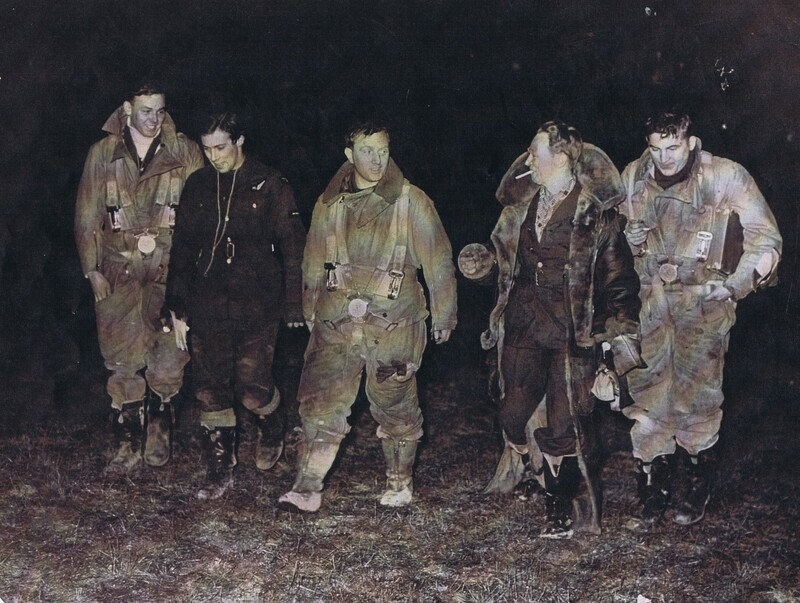 Amongst the aircrew were young men from Australia, Canada, New Zealand, South Africa and the USA. Operations included leaflet drops (code-named Nickels), mine-laying and petrol runs, as well as bombing raids. 77 handed Elvington over to the French squadrons in May 1944 and moved to Full Sutton. In 1945 it transferred to Transport Command with Dakotas and hence to Mauripur, India, dropping supplies and bringing home prisoners of war from the Far East. It took part in the Berlin Airlift in 1948 / 49 ferrying fuel to the citizens of Berlin stranded as a result of the Cold War blockade. 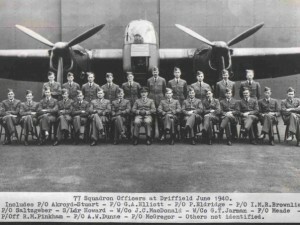 The squadron disbanded in 1963. Although there had been informal get-togethers of veterans previously, this Association was formally founded in 1988. “All your operations were planned with great care and skill. They were executed in the face of desperate opposition and appalling hazards, they made a decisive contribution to Germany’s final defeat.